If NASA decides to use liquid fuel for its new boosters, it could be a deathblow for domestic solid fuel manufacturing. That worries the Navy, since roughly 70 percent of U.S. nukes will soon be deployed aboard submarines—on missiles that use solid fuel. Under the terms of the New START treaty with Russia, the U.S. is reducing its number of nuclear-capable bombers and intercontinental ballistic missiles. That means, by 2018, around 1,070 of the 1,550 nuclear warheads that comprise the U.S. arsenal will be deployed on the Navy's fleet of Trident-missile submarines. 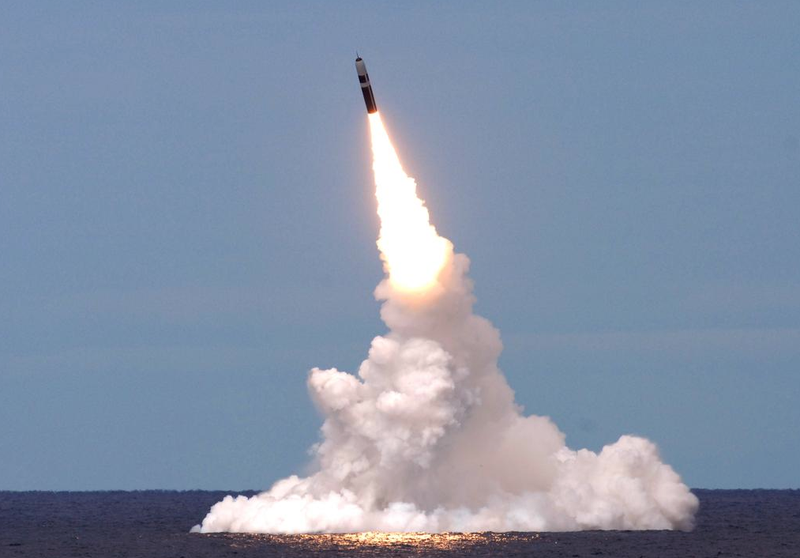 Right now, the Navy is modernizing its Trident II D5 nuclear missiles, in order to ensure their service life can extend for 25 more years. But, in just two years, NASA will decide whether its new boosters will use liquid fuel, solid propellant or a mix of the two. Solid fuels are stable and easy to maintain, but a solid-propelled engine cannot shut down once it's ignited. It will continue burning fuel until it's all gone, whereas liquid-propelled engines can be turned on and off as required. Manufacturers of solid fuel already took a big hit when the space shuttle program ended. And, if NASA opts for liquid fuel, Breaking Defense reports, the Navy doesn't think it can sustain the solid-fuel industry all by itself. NASA is the large procurer in this whole equation, so what NASA does affects everyone, from the Navy to the custodian of the nation's spy satellites, the National Reconnaissance Organization…. Yes, in theory you could import rocket boosters from abroad, but in practice the big seller is Russia, which is a problematic partner on rocket programs (and other things) right now. It's up to [the Navy] to keep the Trident functional for decades to come. They're working hard on overhauling and replacing aging components, from the flight controls to the navigation system to the rocket motor…and buying at least 12 new boosters a year to replace ones getting too old to safely use. (Trident fuel contains nitroglycerine and, unlike wine and cheese, definitely does not improve with age). Even if the Navy could afford to design a replacement [missile], it would still have to use solid propellant, because liquid rocket fuel is simply unsafe in the tight confines of a submarine. And while there are commercial users of solid propellant, they use lower-powered varieties than the Navy requires. If the Navy can't convince NASA to keep buying solid propellant, it still might buy commercial solid fuel. The propellant could be purchased in bulk to save cost and then blended to make different formulations that would meet the needs of both civilian and military customers. Yet, "any change in propellants is going to affect the missile design. It's an integral part of the missile design parameters," says Vice Admiral Terry Benedict, director of the Navy's strategic systems programs. "We have a very clear reason to be into higher energetic propellants, because the launch space inside of a missile tube is constrained."